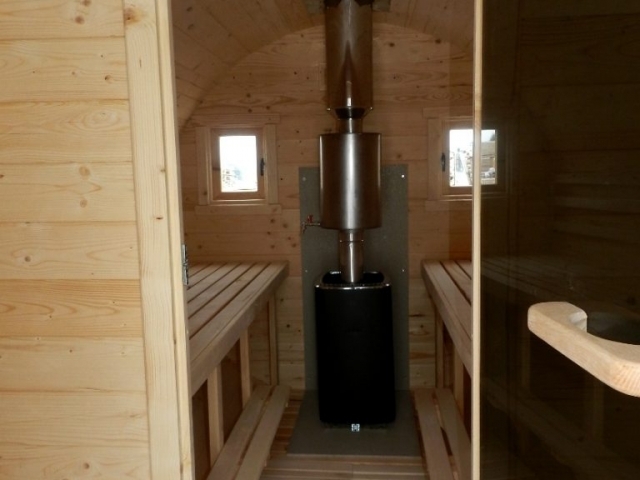 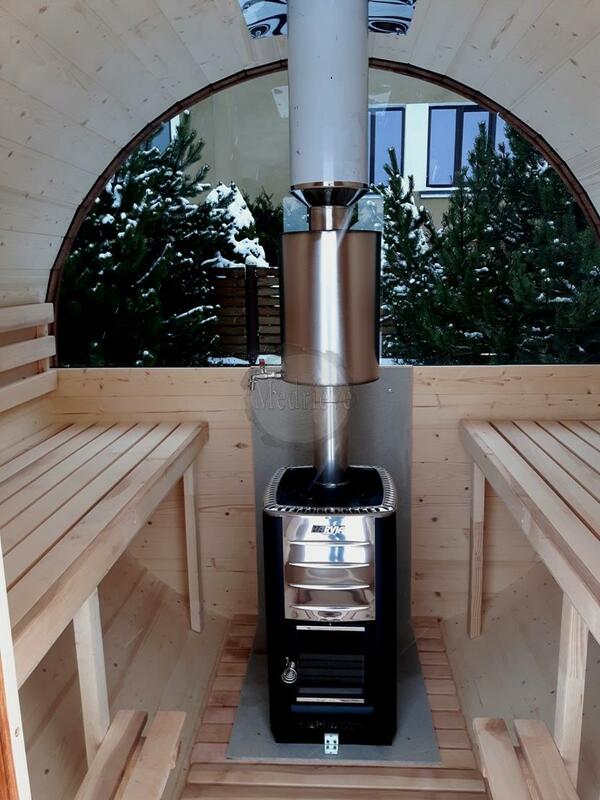 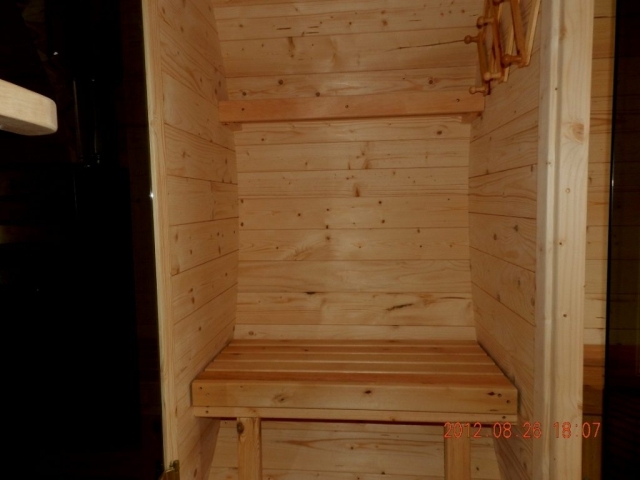 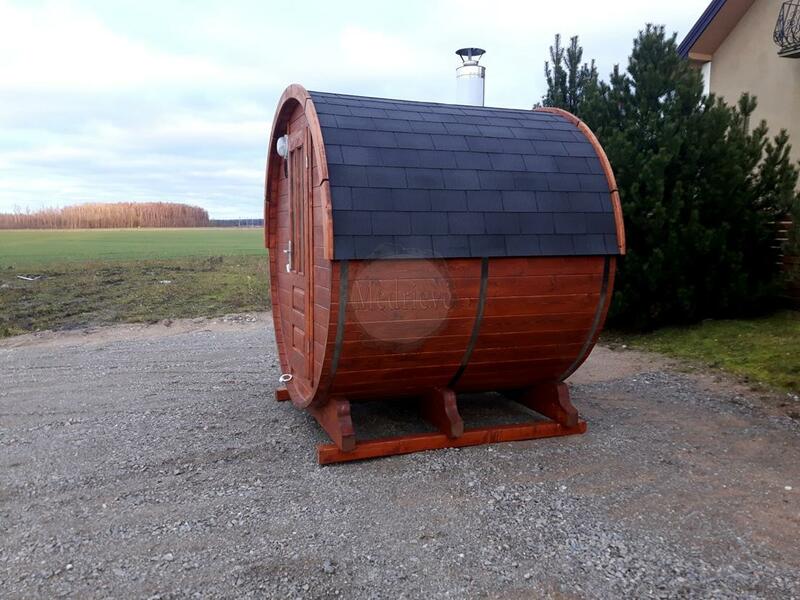 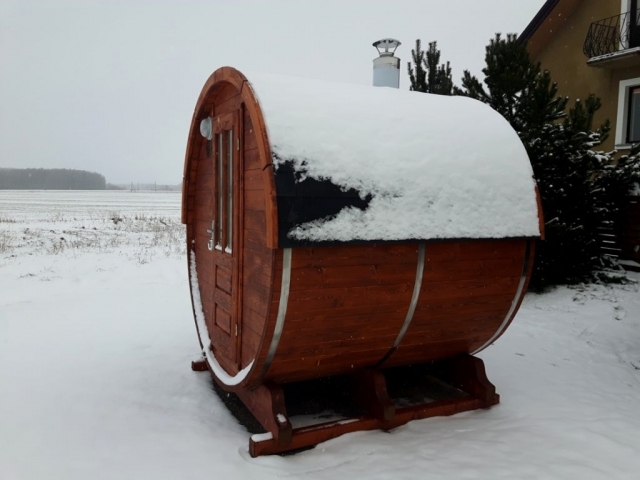 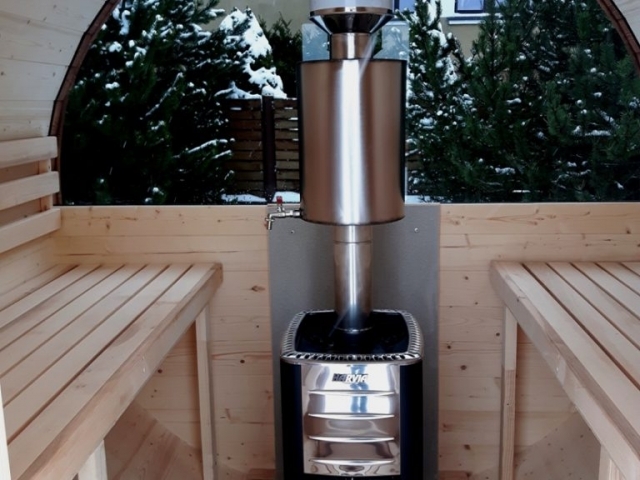 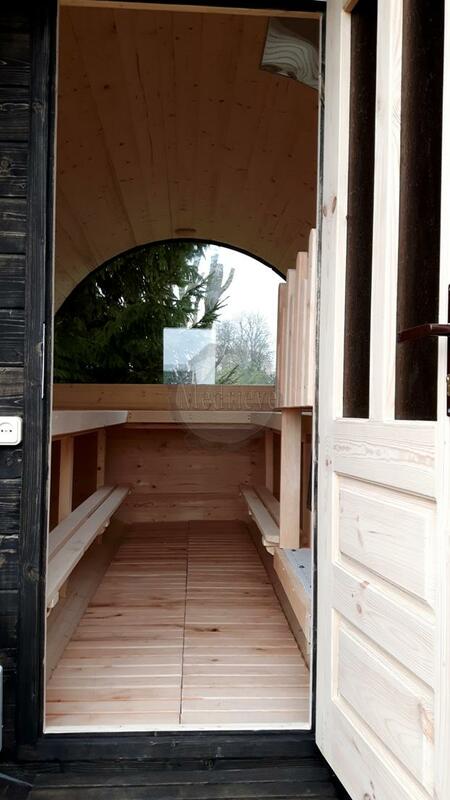 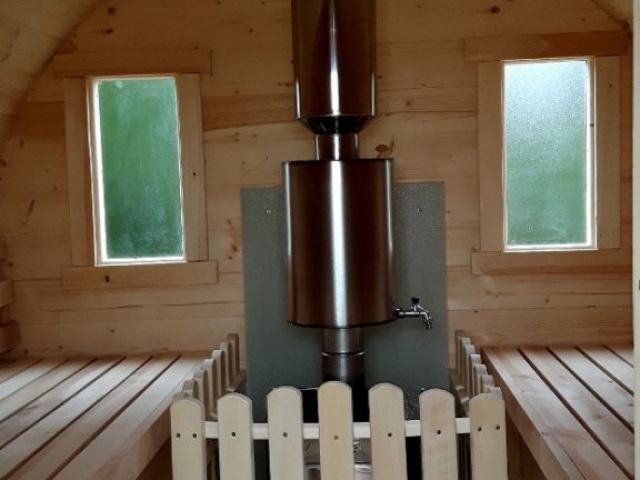 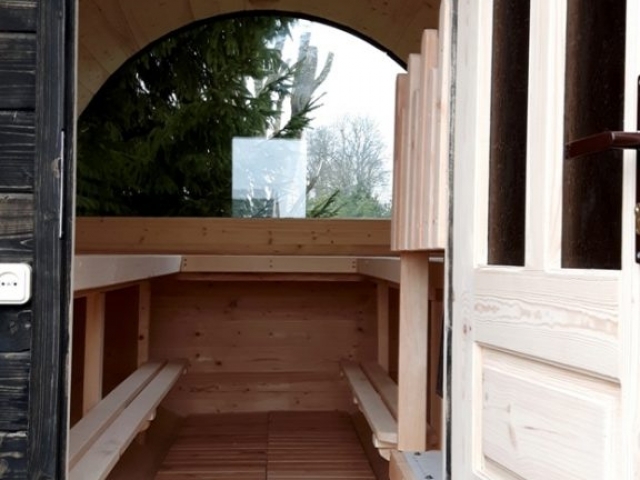 This type sauna has better heat circulation, reduce heating costs – heats up in over 45 minutes in the summer, over 1.5 hours in the winter. 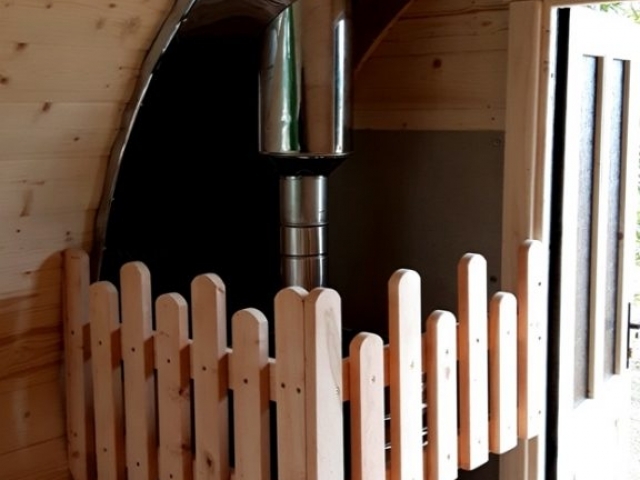 Structure of thick planks are designed in such a way that it does not require massive foundations, permits for construction or transportation. 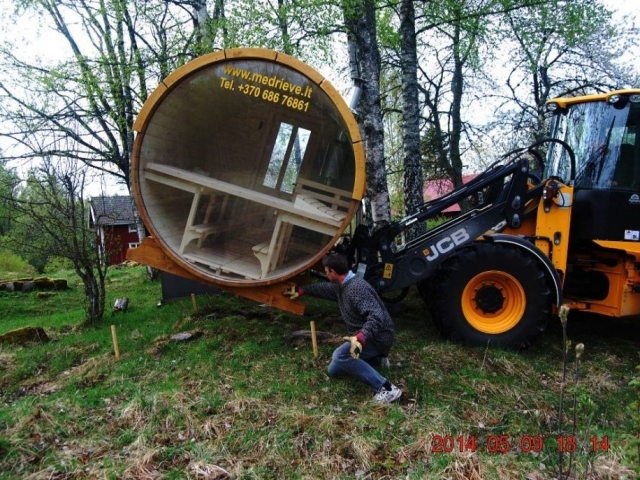 Frame is made of 42mm thick boards. 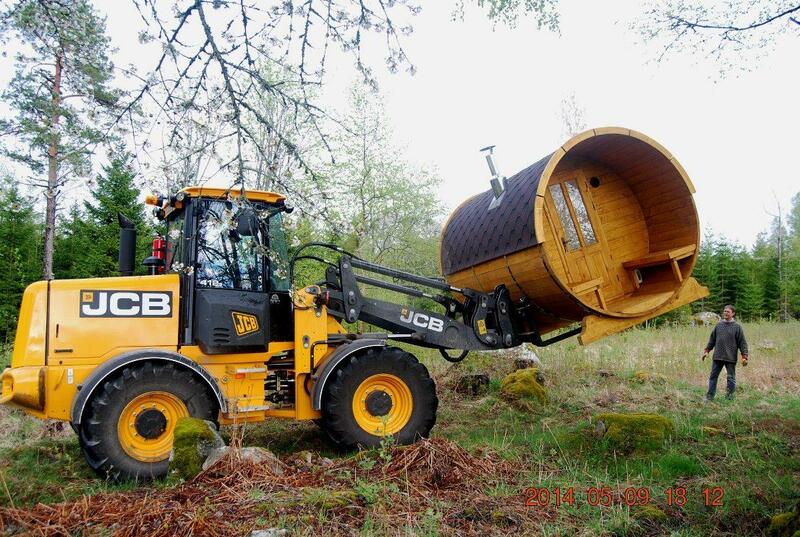 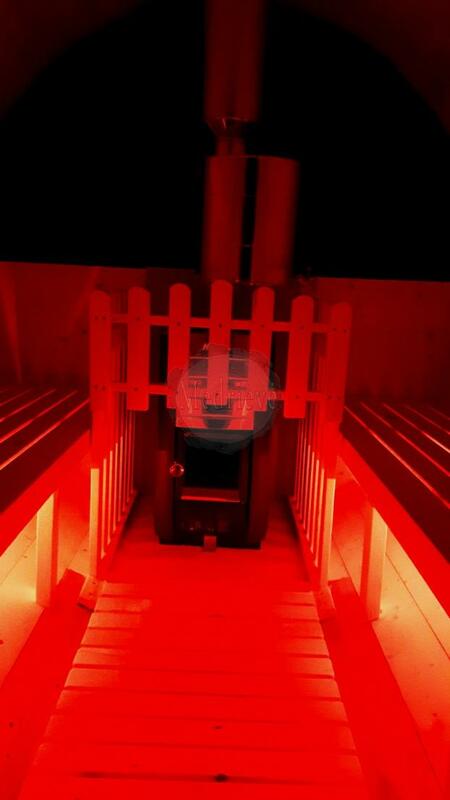 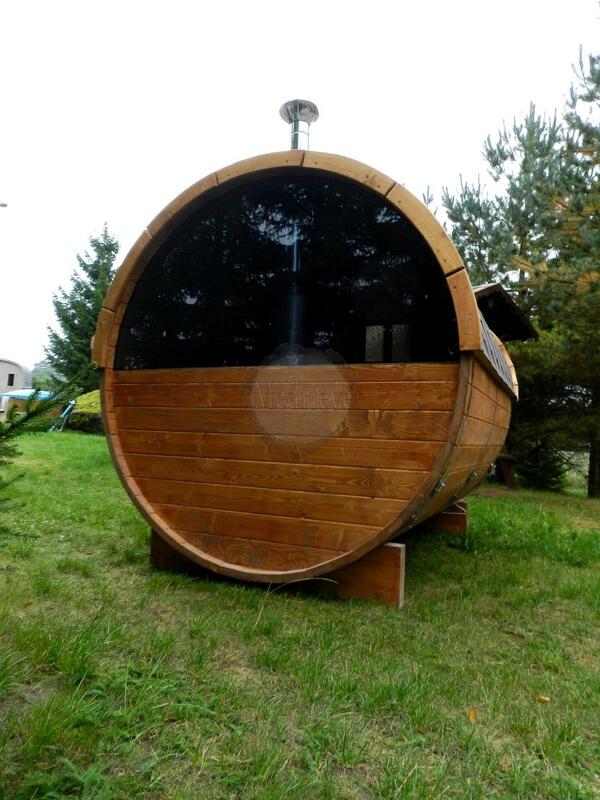 Produced using hot tub manufactured technology. 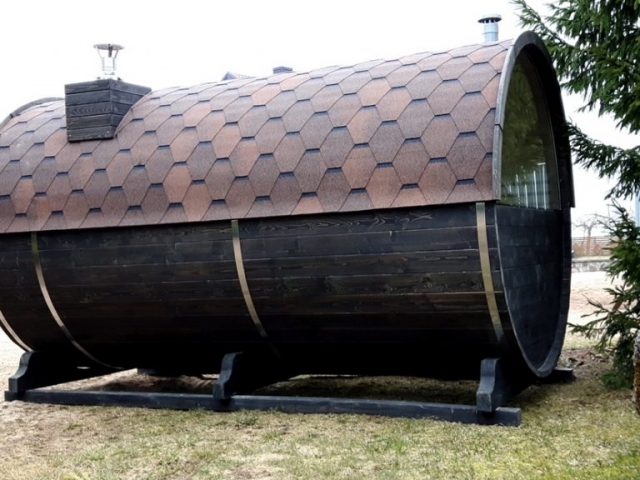 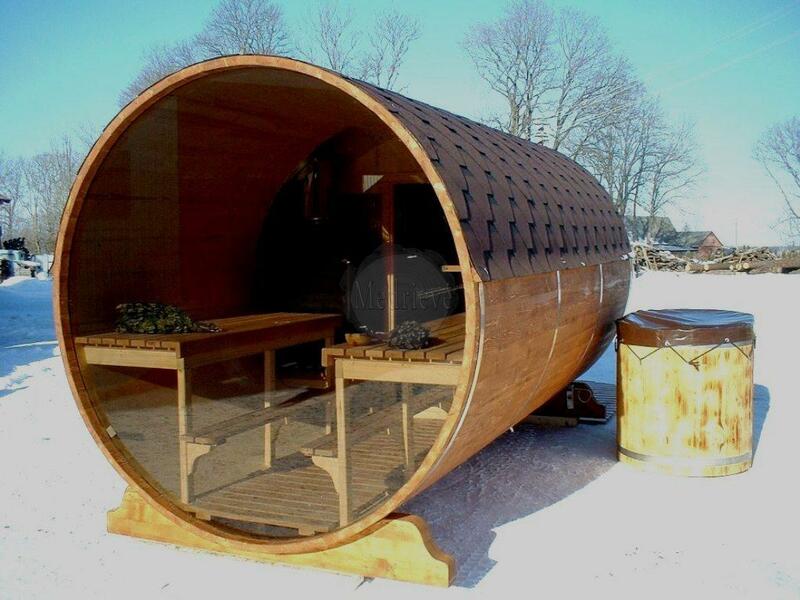 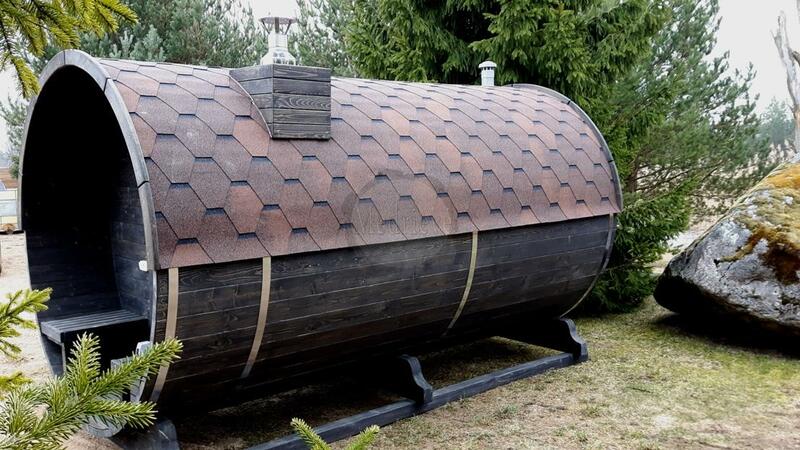 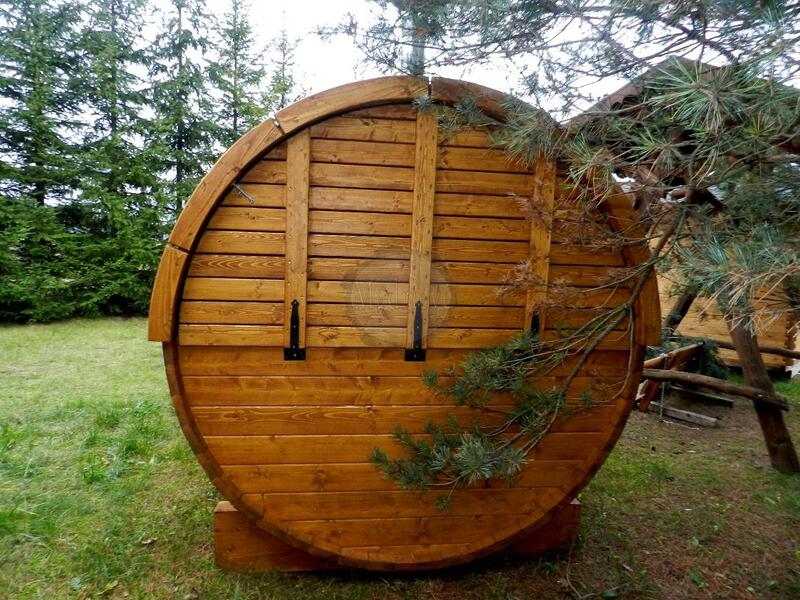 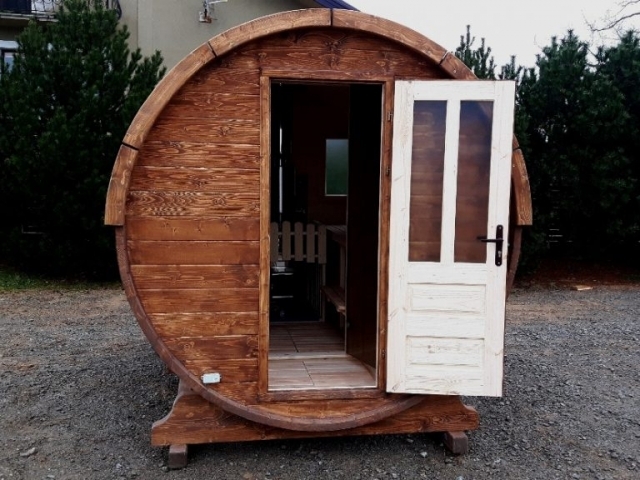 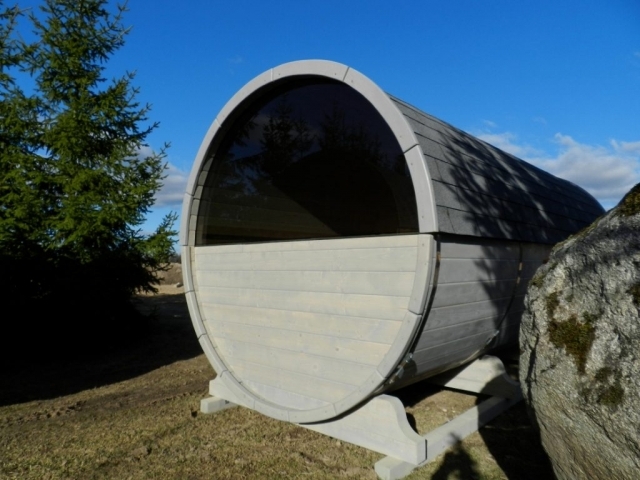 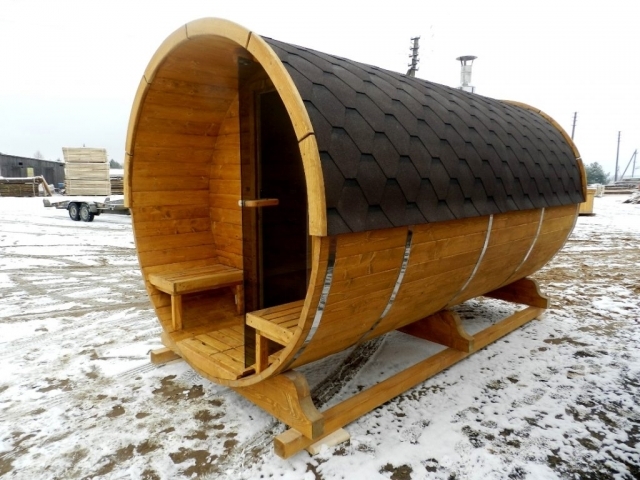 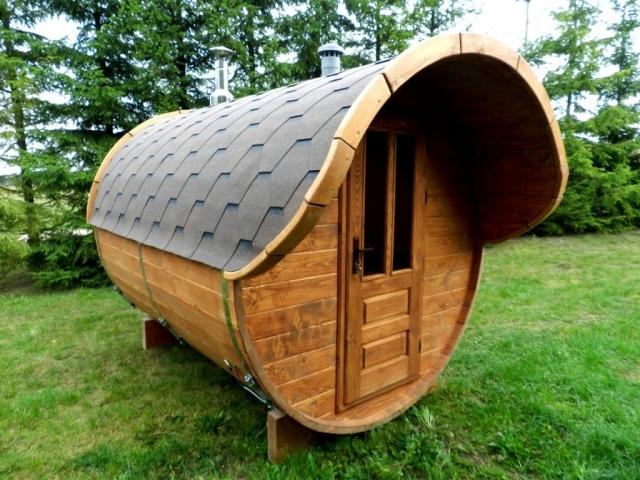 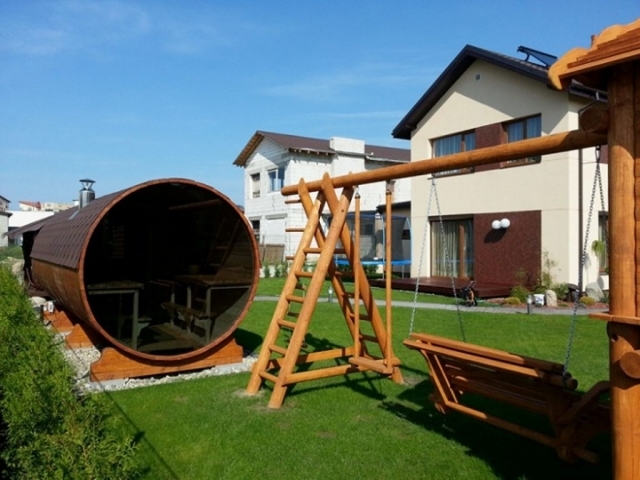 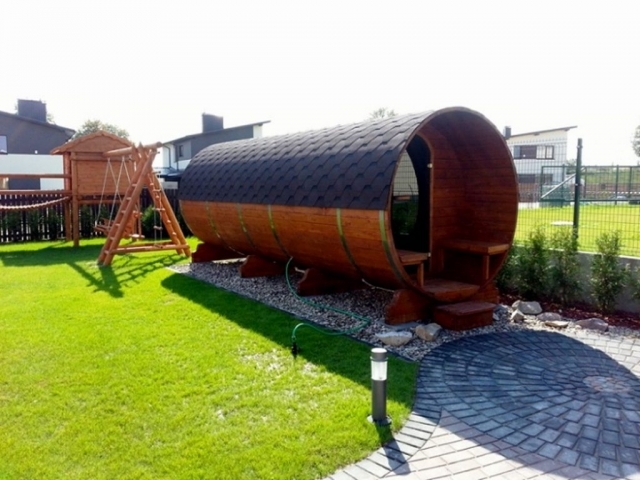 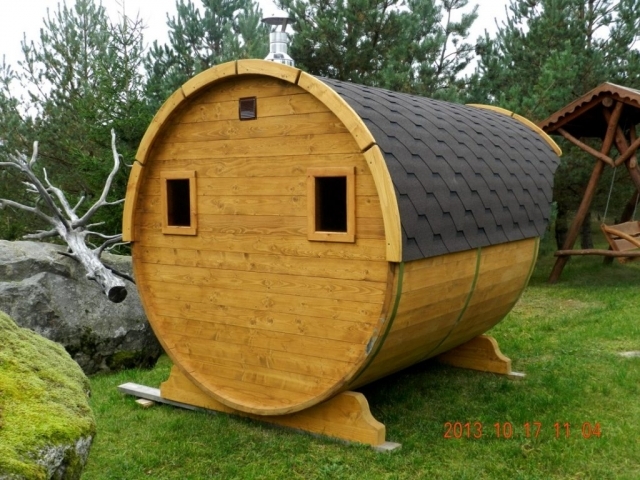 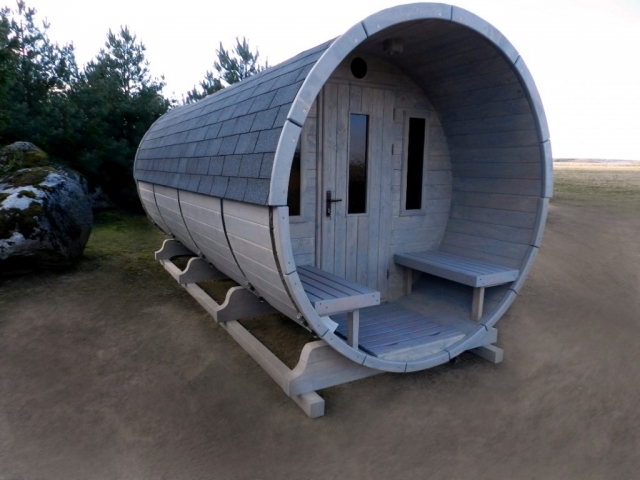 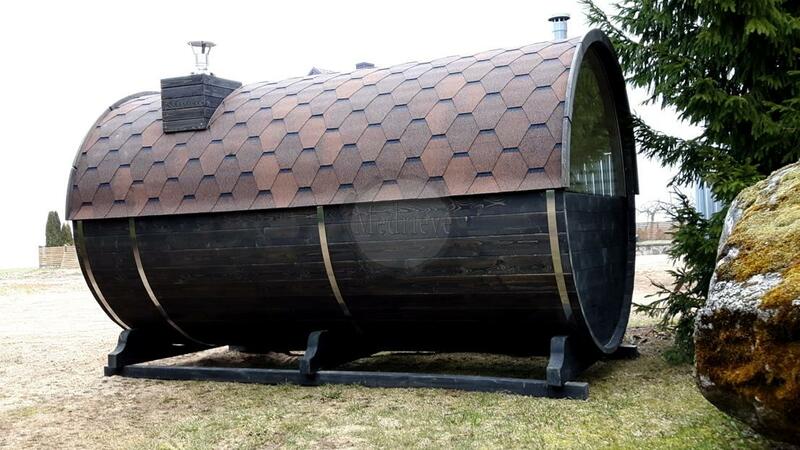 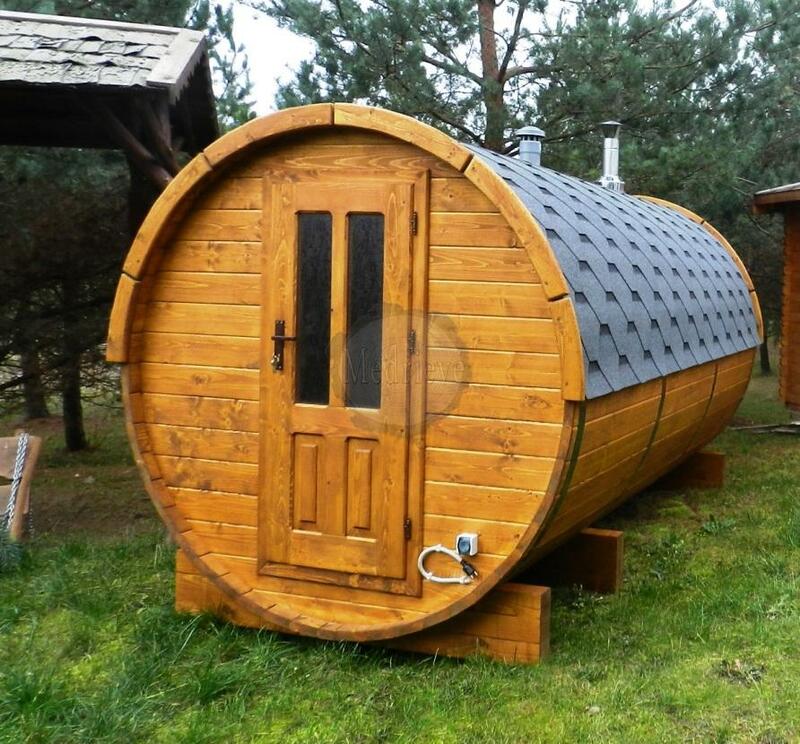 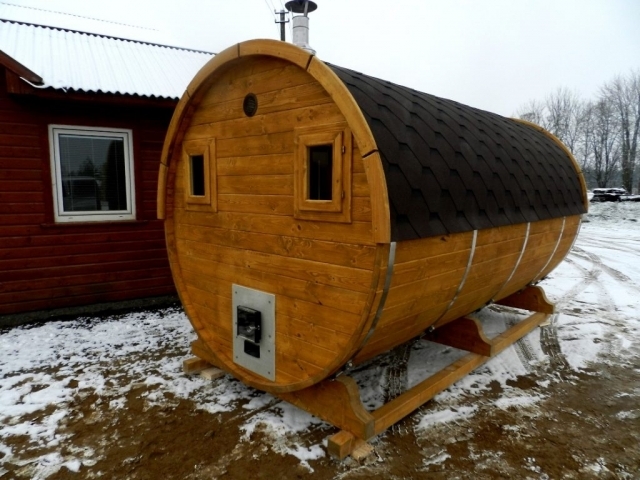 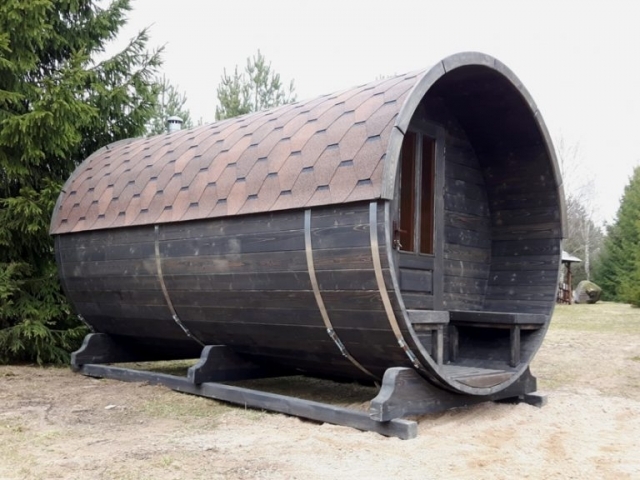 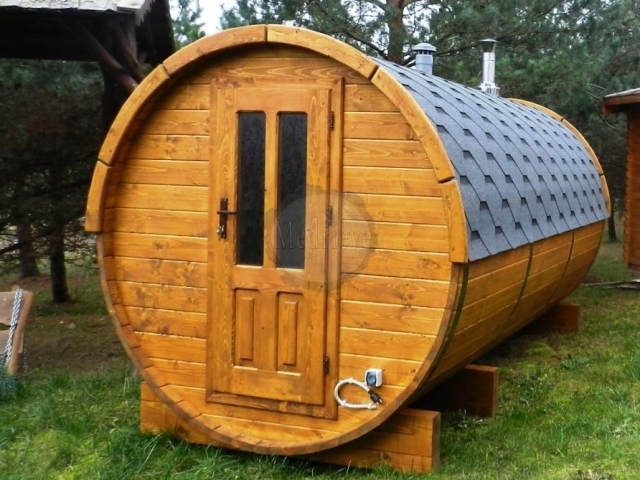 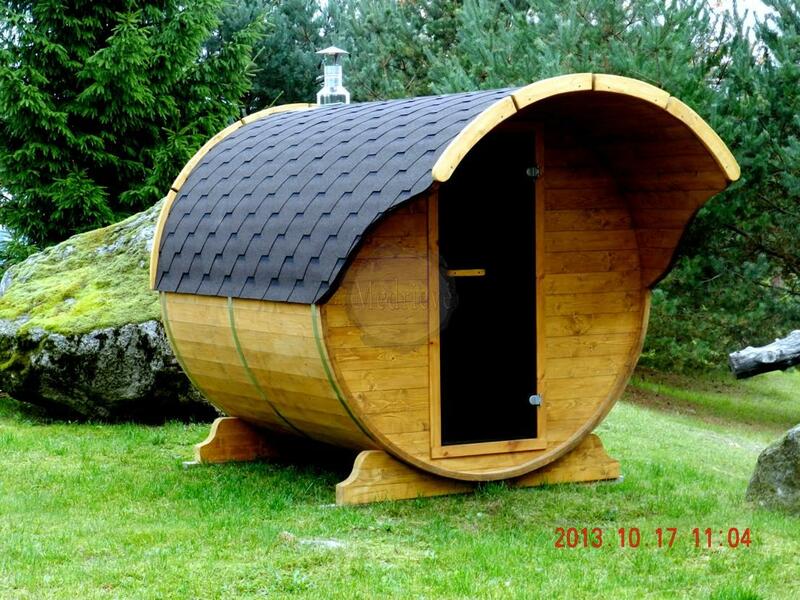 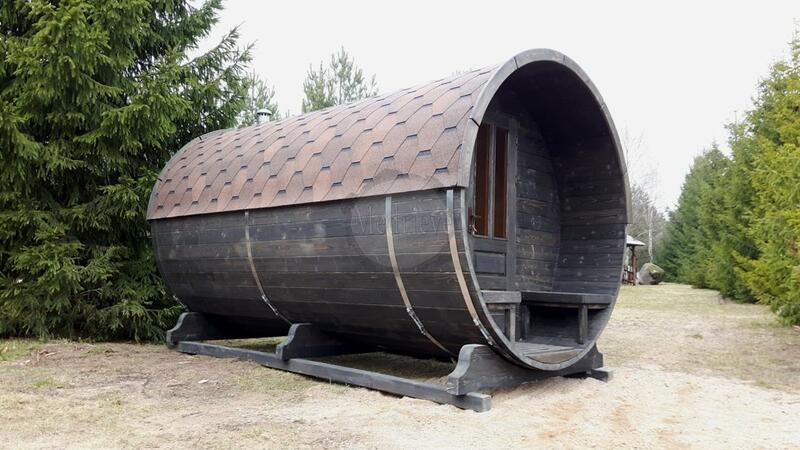 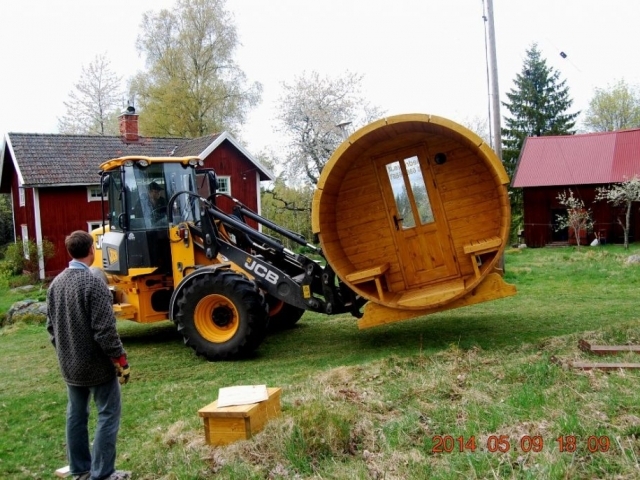 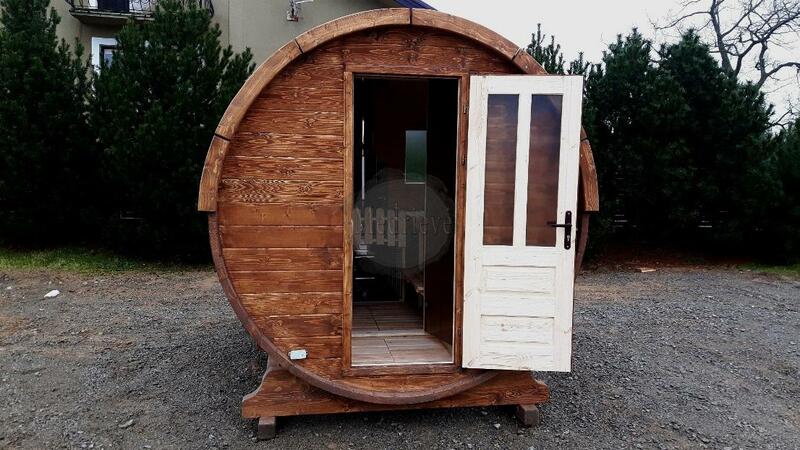 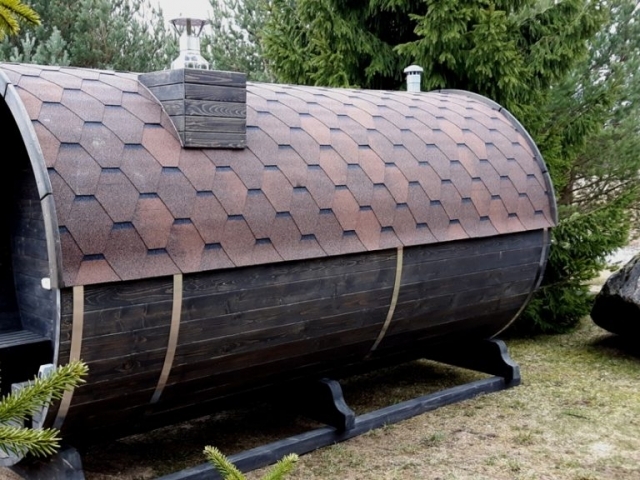 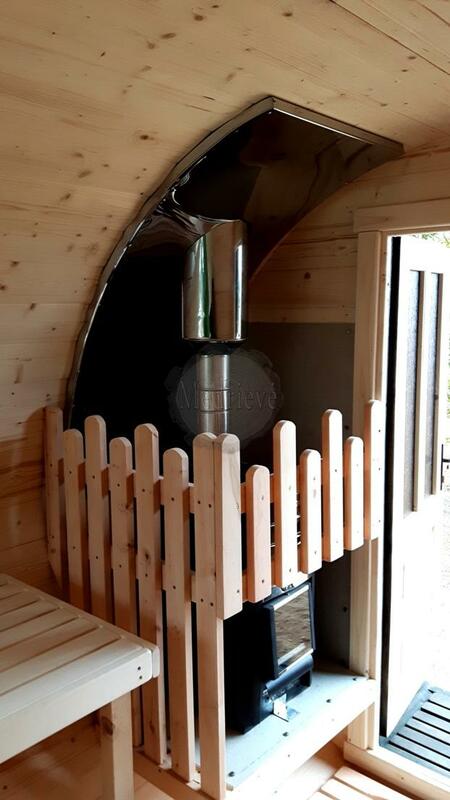 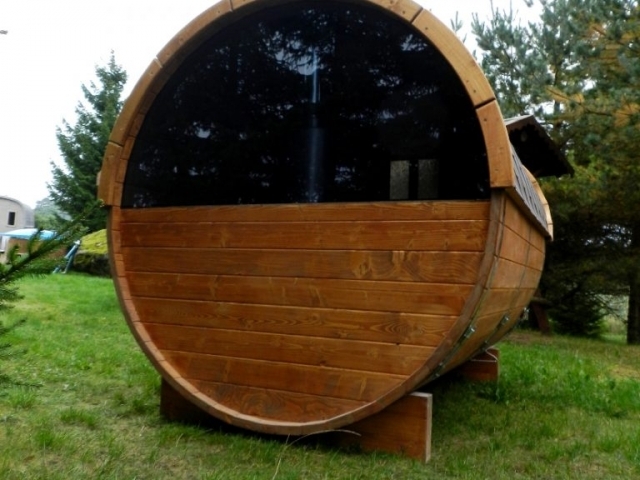 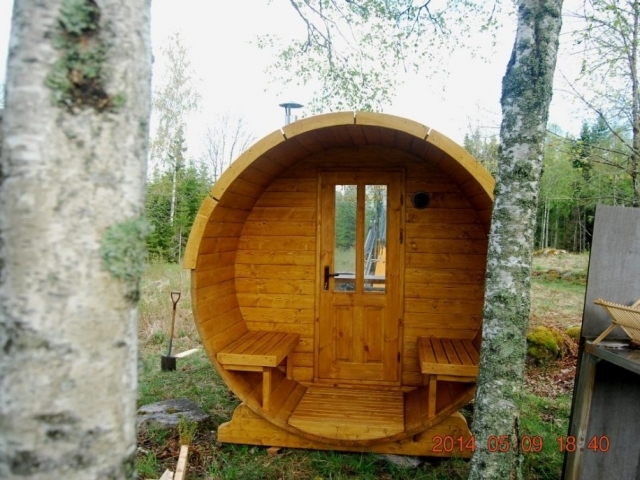 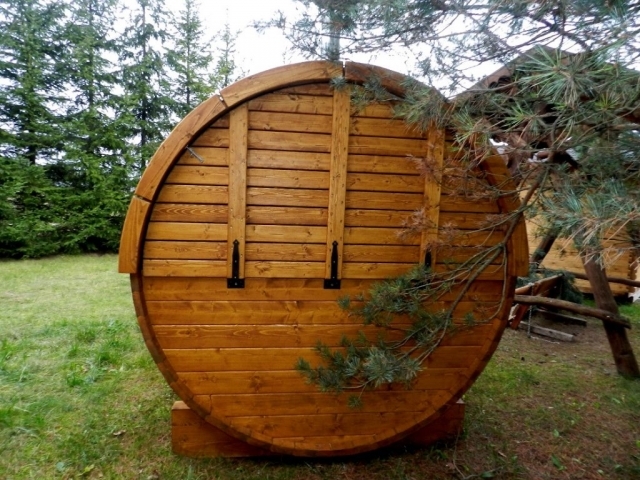 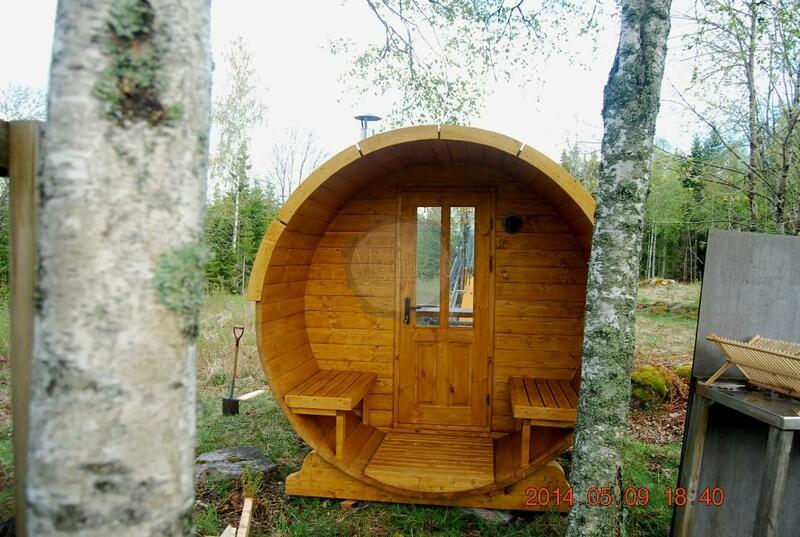 This type of sauna is like a large barrel laid on the side. 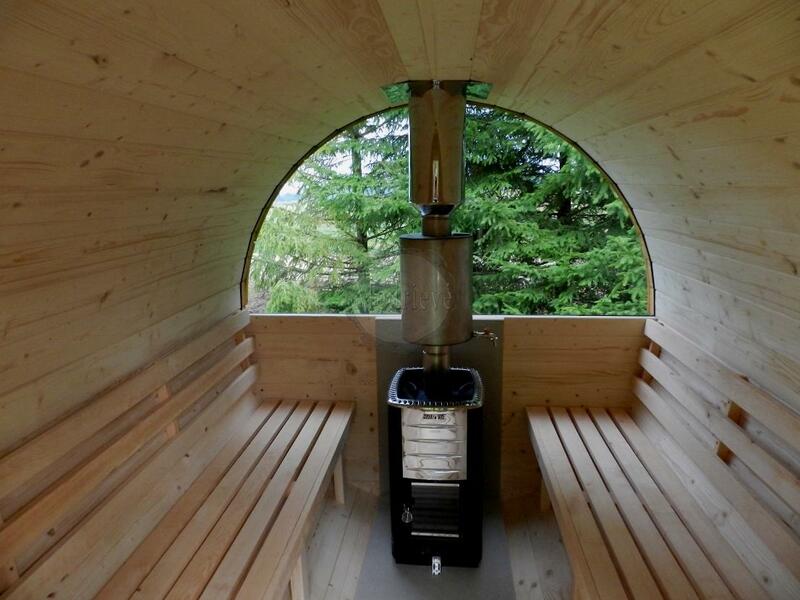 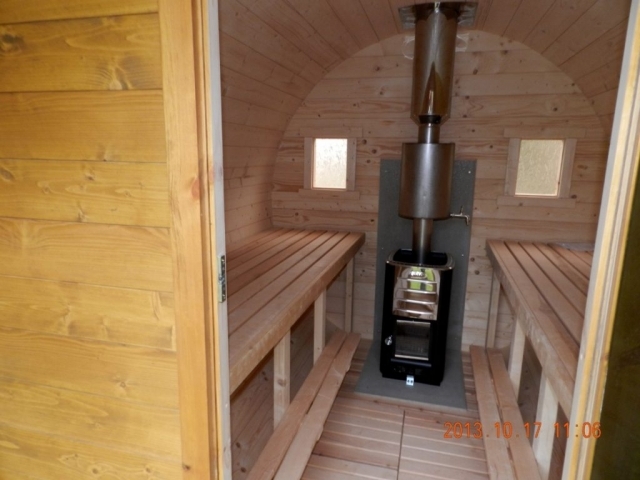 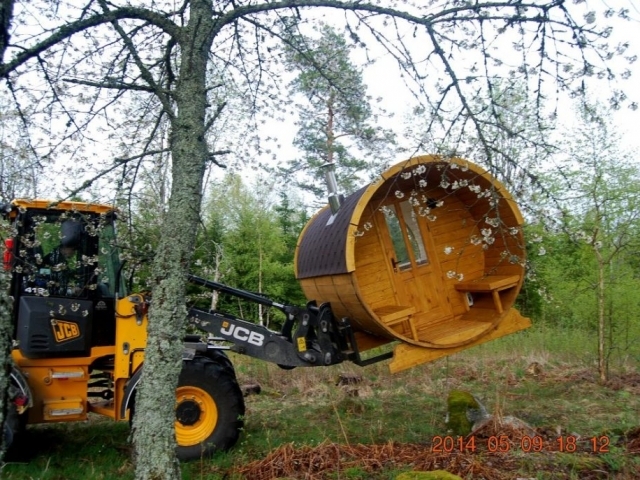 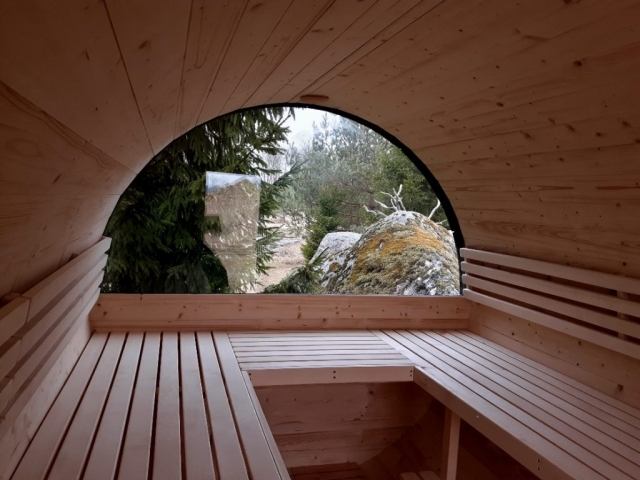 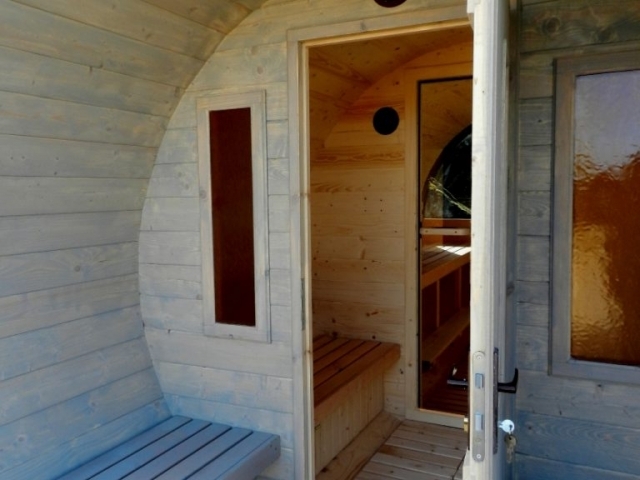 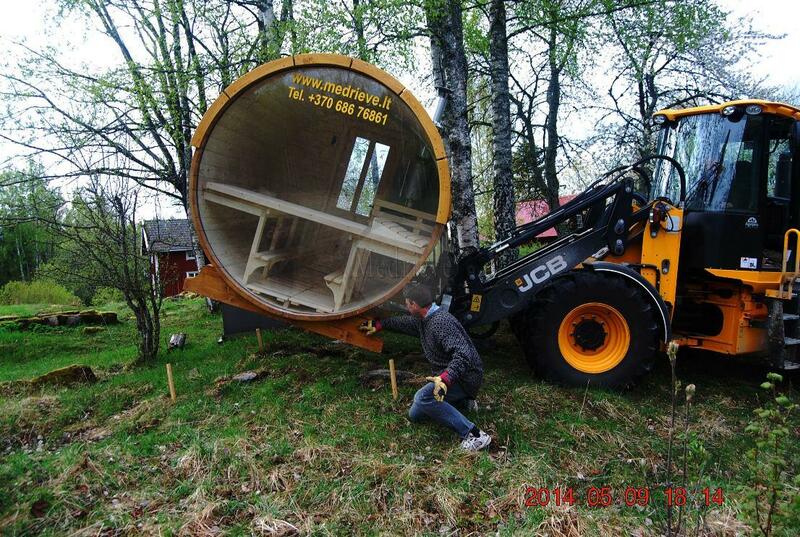 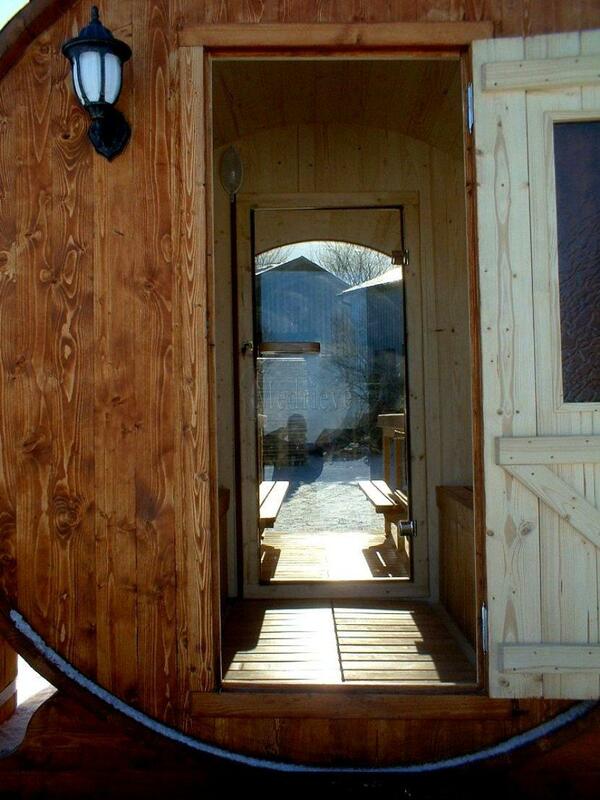 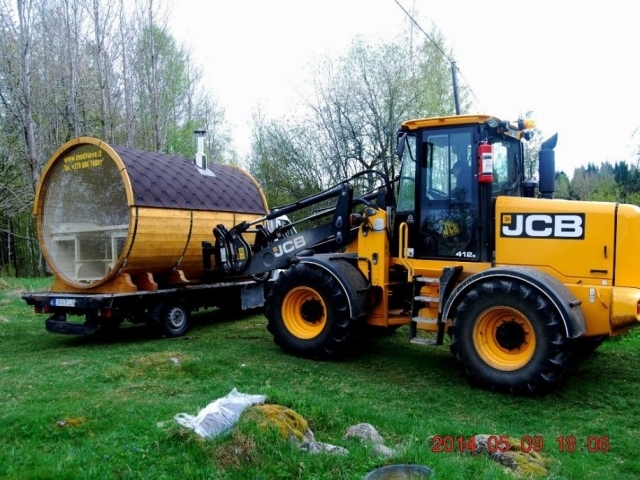 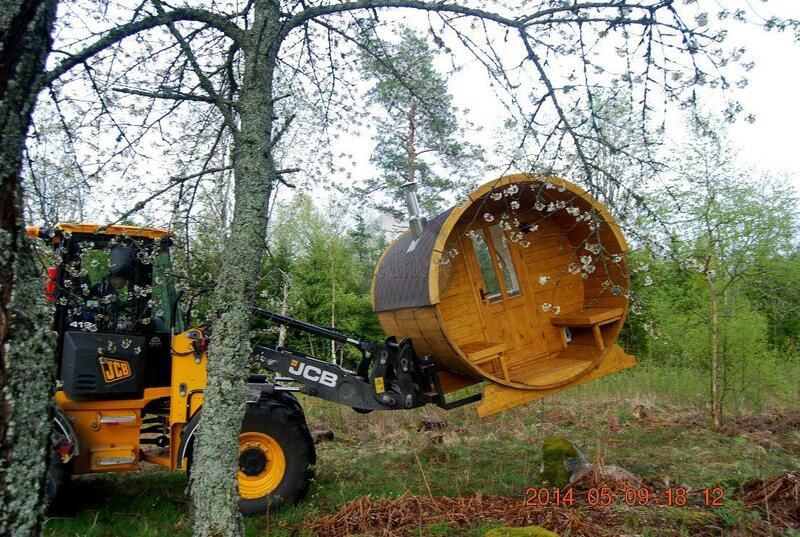 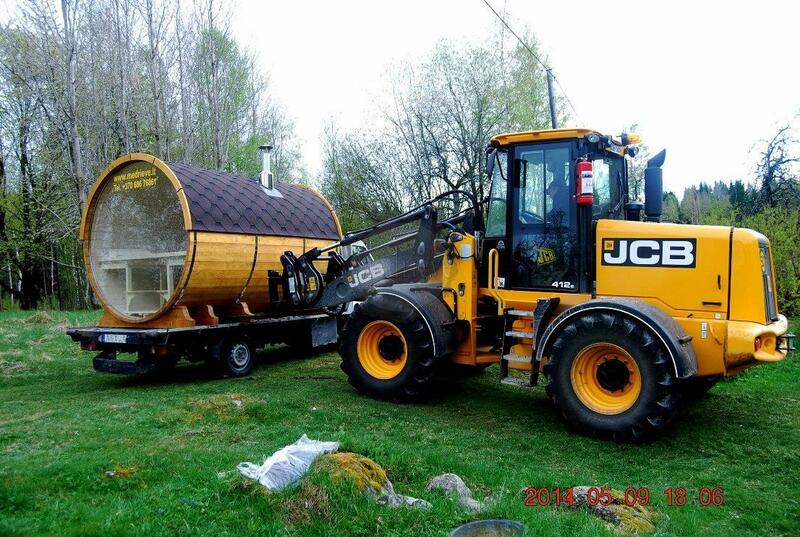 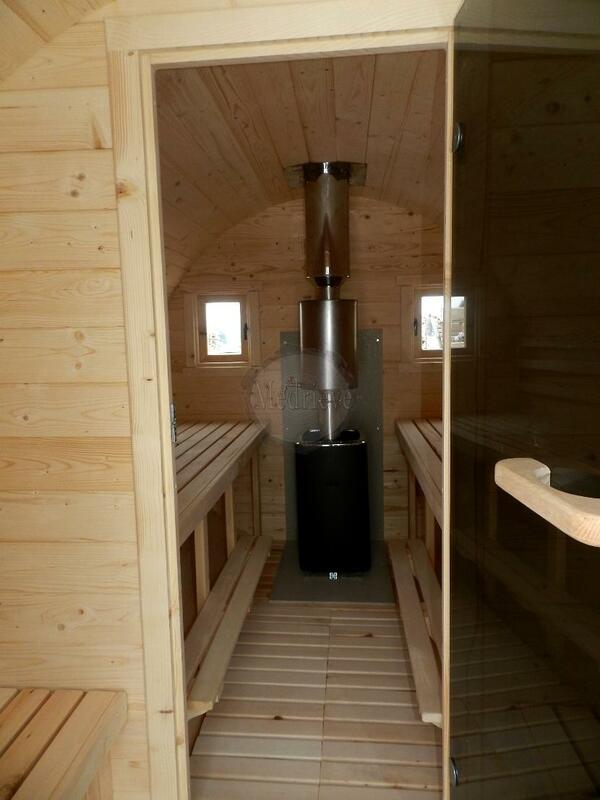 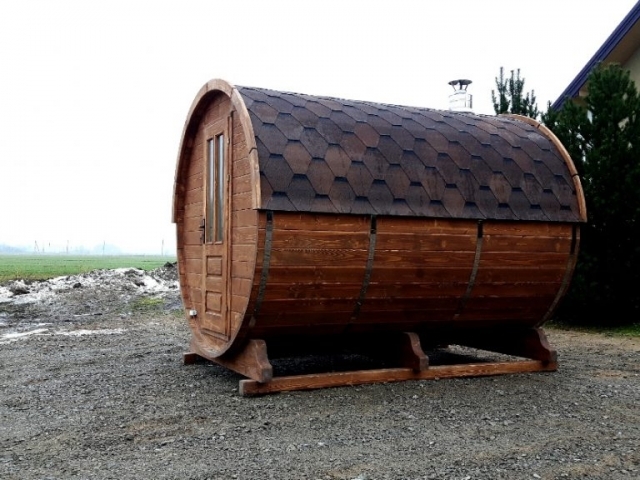 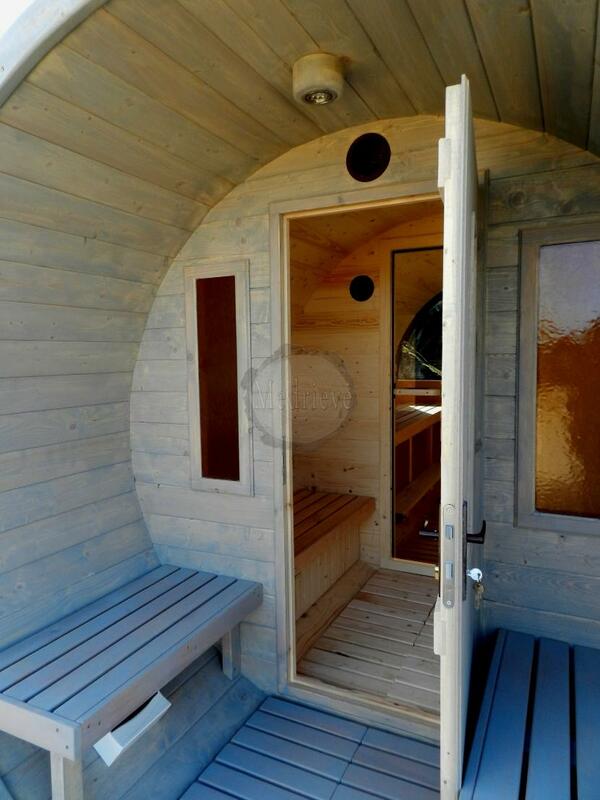 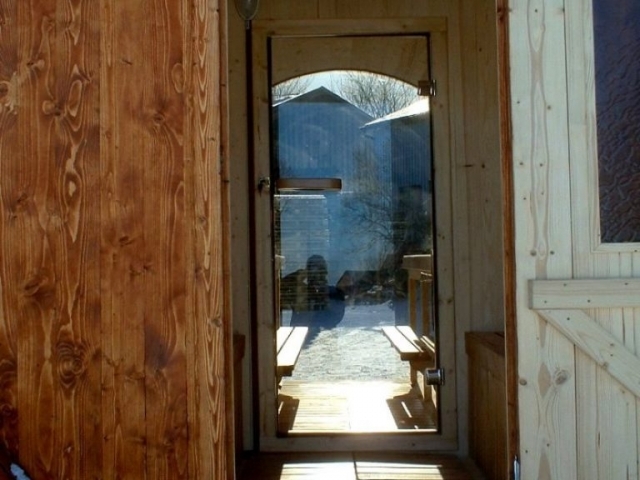 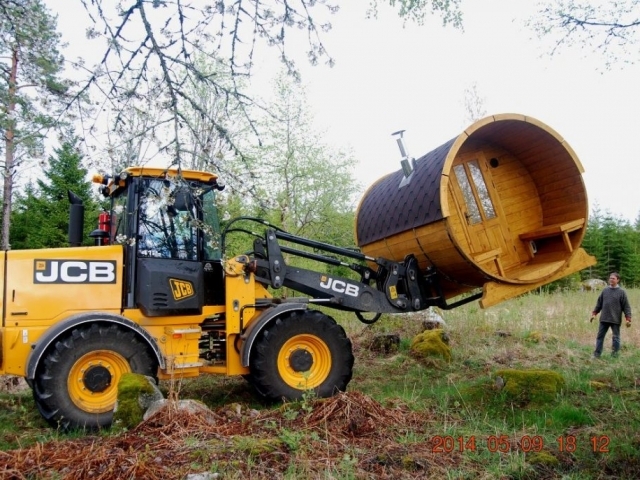 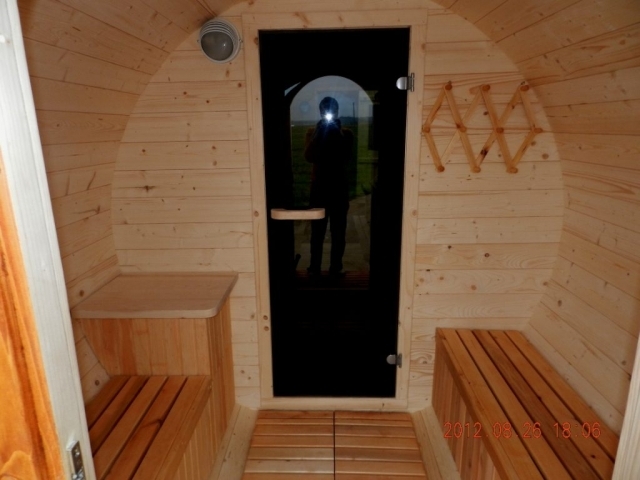 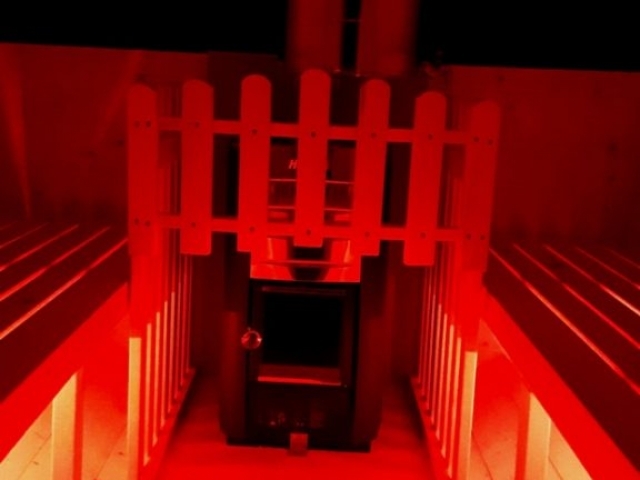 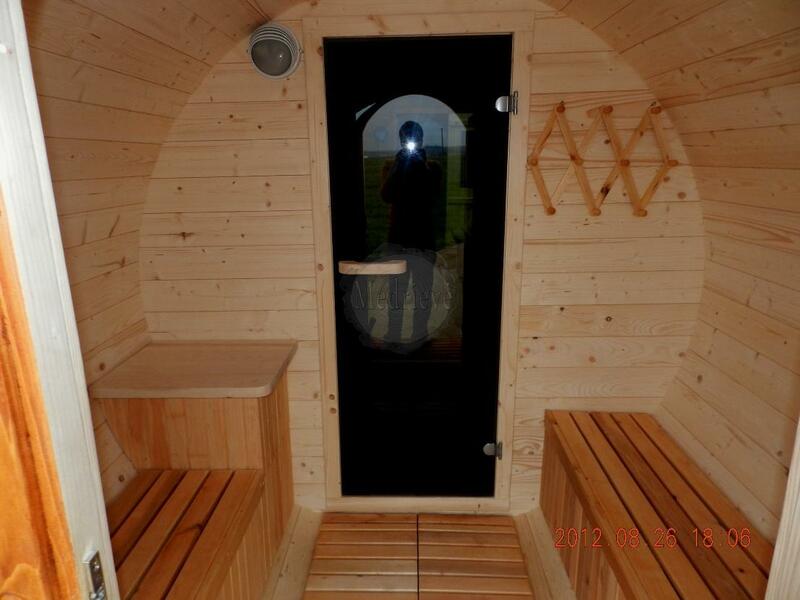 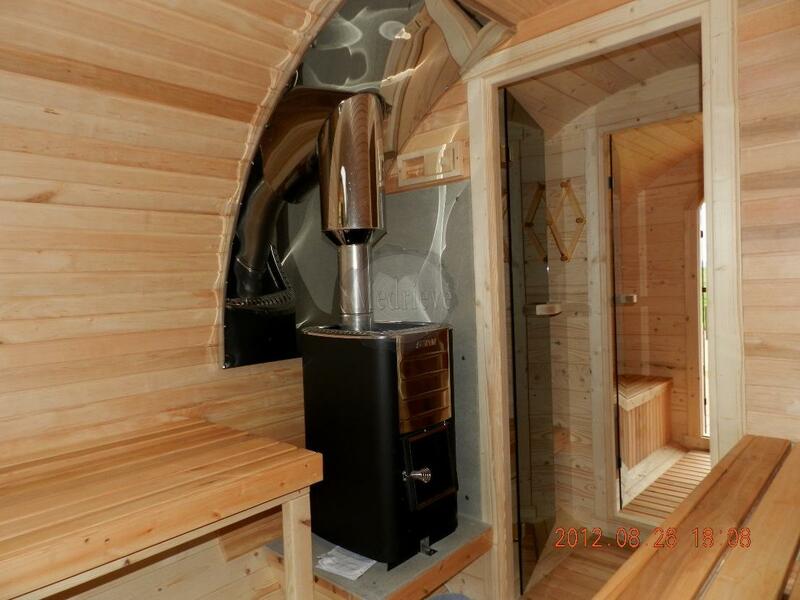 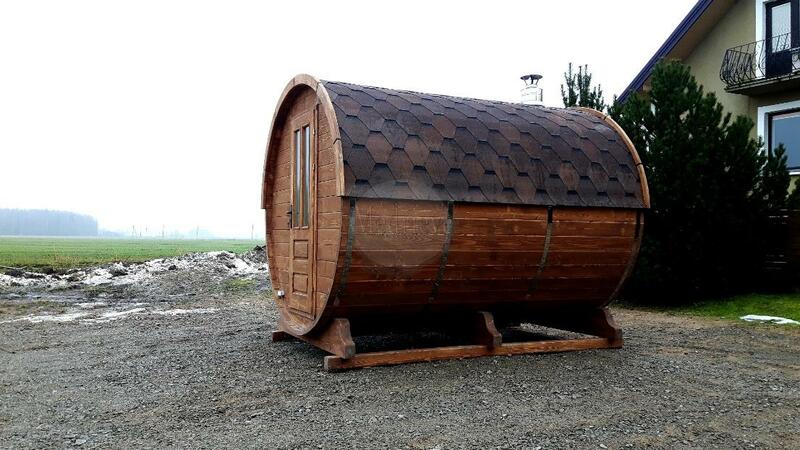 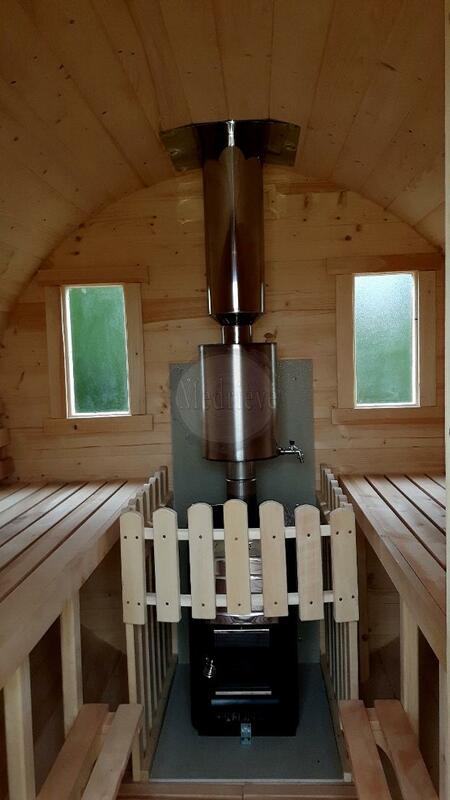 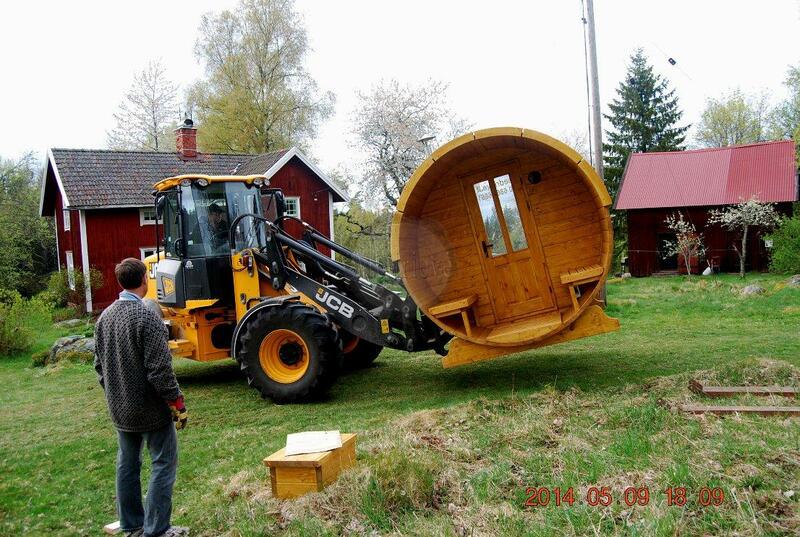 these saunas do not need to be fuelled for a long time. 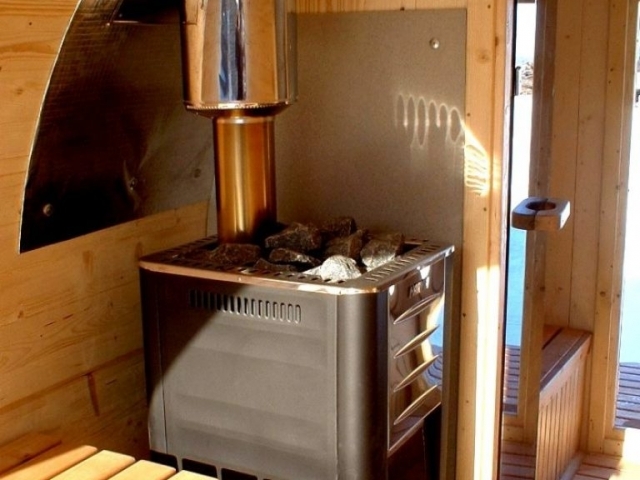 It warms up very quickly – you can enjoy it after an hour. 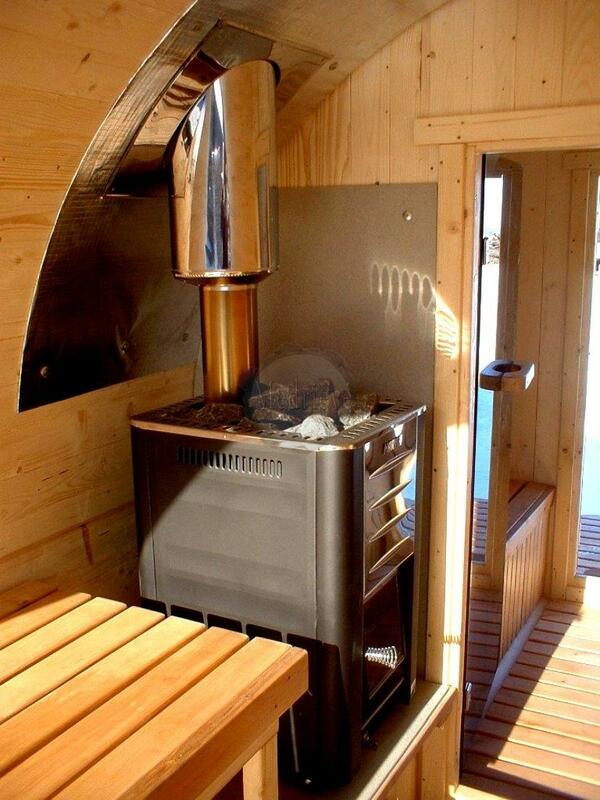 If you heat a lot, you will need to fuel it constantly.